This step takes a look at the recorded Interim Progress Percentage and compares it to criteria set for at-risk. This percentage is a fixed point in time, and will not change unless you re-run the prior step. 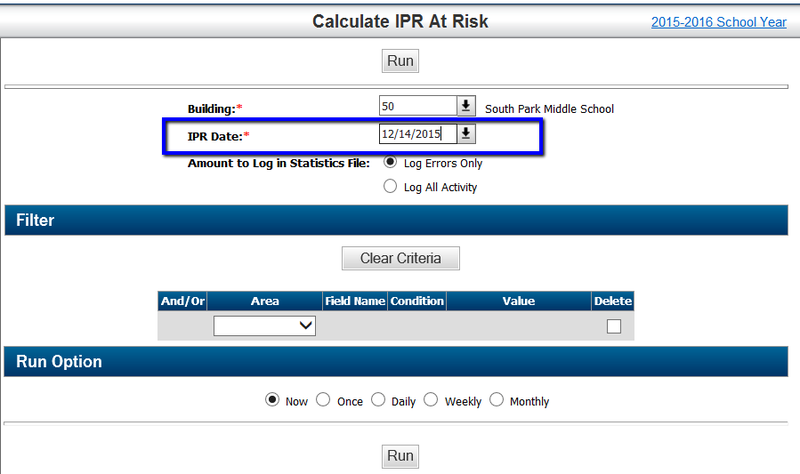 Navigate to Mark Reporting Center - Calculations, and find IPR At-Risk Calculation.